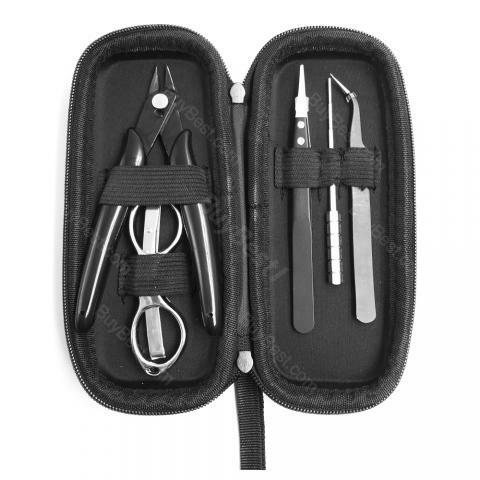 Avidartisan DIY Tool Mini Kit is particularly suitable for DIY users, is a set of multi-functional electronic cigarette tools. Size of the box is 170mm x 80mm x 40mm. Get them as spare parts to enjoy easy atomizer DIY! • Quick Link: Cotton and wire for DIY. Avidartisan DIY Tool Mini Kit is a valuable kit with 1 Diagonal Pliers, 1 Scissors 1 Ceramic Tweezer, 1 Elbow Tweezer (T3) (With Rubber Caps for protection) 1 Micro Coil Jig. I really like it because of Cheap and high quality. Easy to use and enough stylish.